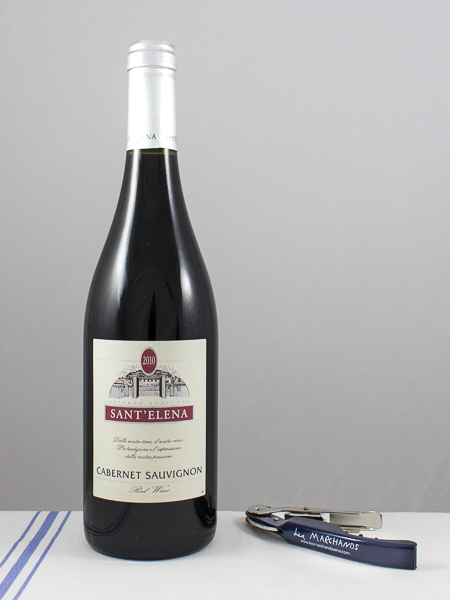 Sant’Elena was founded in the late 19th century by the Klodic family, a dignified and powerful family of the region. Today the estate covers roughly 40 hectares and is all one single estate vineyard. The vines are all meticulously tended, the grapes are hand harvested and only the finest fruit makes the cut into the wine. The estate is located in Gradisca d’Isonzo just a few miles west from the Slovenia border. The stony alluvial soil and the cross section of mediterranean wind from the south and continental wind from the east provides a perfect terroir for the vineyards. Harvested by hand, fermented in stainless steel and neutral oak and then aged in large barrels for 18 months before release. This wine was a true find! Aged wine at a great price that is drinking absolutely beautifully now but will also last another 7 years too. Decant it for an hour, if you can, and have it with a big burger or baked mushroom risotto.